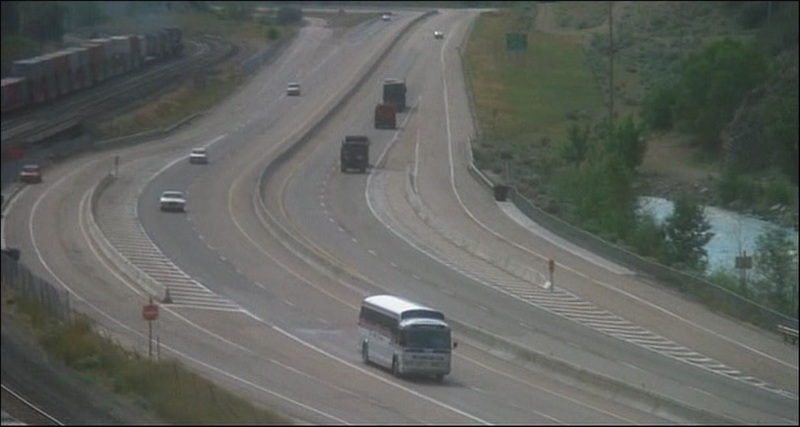 Horror film bookended by bus journeys. 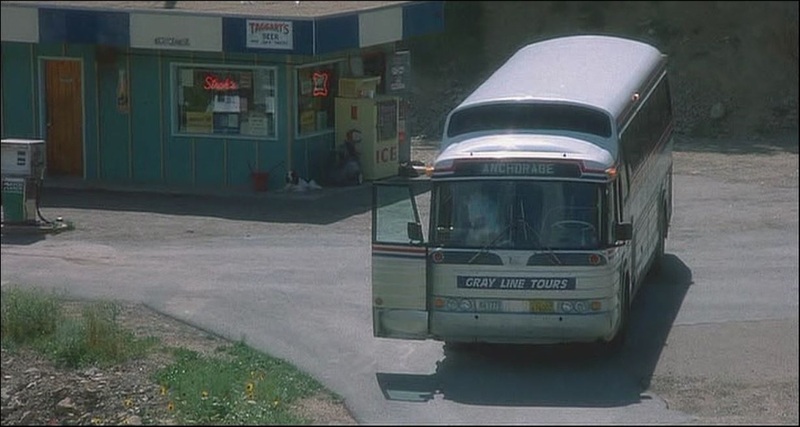 The bus in question is a GM Buffalo Bus in the livery of Sun Valley Stages of Idaho. 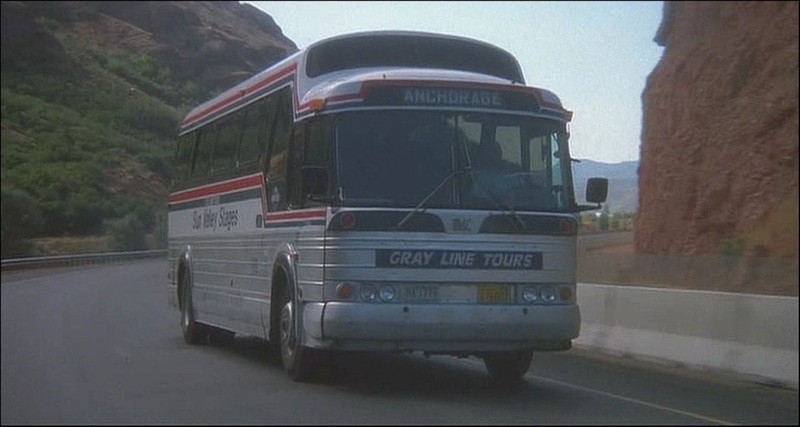 Destination on the first trip is Anchorage (Alaska) and the return is Juneau (also Alaska). 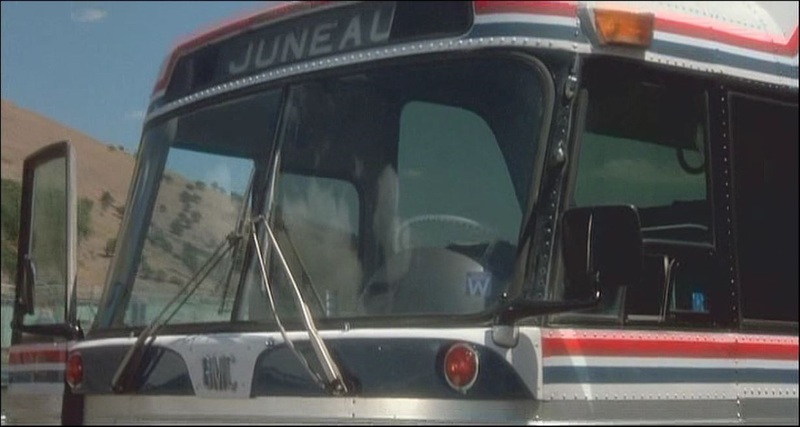 The bus carries a Nevada license plate and the movie was shot in Utah. Enough said.